One of the best ways to maintain strong teeth is to eat a healthy diet. Dairy foods such as milk, yoghurt, and cheese contain important nutrients that help keep teeth healthy. Additionally, including dairy in your diet can help build and repair muscle throughout your body and help to prevent osteoporosis. Babies’ teeth begin to develop before you actually see them pushing through the gum line. Caring for your baby’s oral health should be a priority from the day they’re born. As they transition to solid food, make sure you include calcium-rich foods in their diet, such as dairy. You should also make sure they brush their teeth every day and floss as soon as necessary. Once your child turns two, they should visit the dentist for regular checkups. 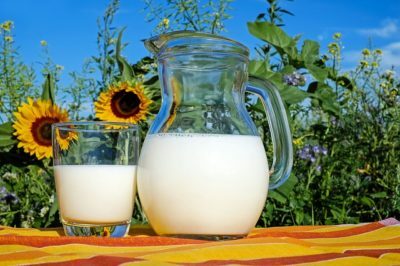 In general, children of all ages benefit from a diet that includes calcium-rich foods, such as dairy. The calcium found in dairy products helps in the development of strong jawbones and teeth. It’s important to take care of your children’s teeth and help them to build healthy oral hygiene habits. Calcium is important for people of all ages. Calcium contributes not only to the strength of your teeth, but to your general health as well. Those who suffer from poor overall health and a lack of calcium are at a higher risk of developing gum disease. Gum disease can lead to many complications and should be treated immediately. Some adults may benefit from more calcium. For example, people who are underweight, particularly young women, may lack the necessary levels of calcium and should seek medical help. Likewise, women who have gone through menopause and older men often have low levels of calcium and may need to rely on supplements. If you suspect you aren’t getting enough calcium, speak with your general practitioner and dentist. They may recommend a diet change or calcium tablets. If you’re lactose-intolerant, there are many other foods that contain calcium, such as broccoli, salmon, cabbage, oranges, almonds, and calcium-fortified milk alternatives.